I came across these pictures at a flea market in Peotone,Ill. 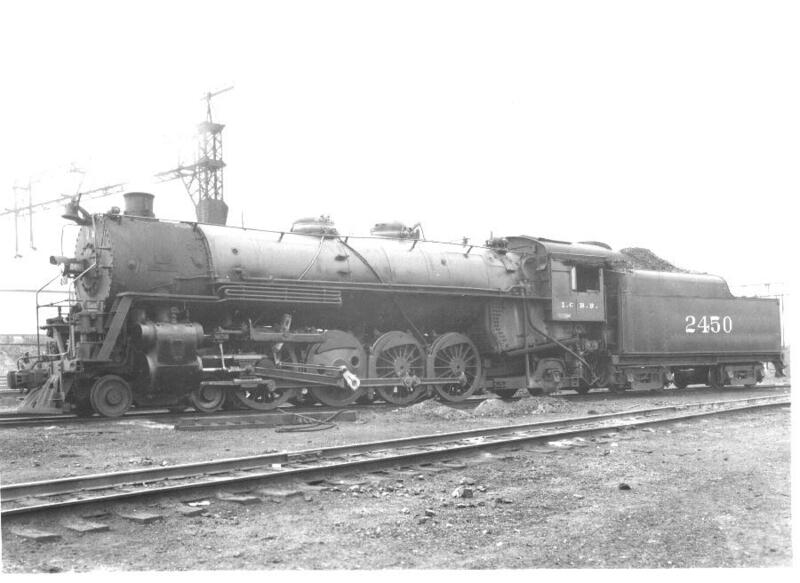 They are from the IC's archives and were supposedly destroyed when the IC moved from Central Station to Illinois Center. 4-8-2. At 27th Street, Chicago, Ill., July 18, 1945. Mountain Type, 70" drivers, 73,303 pounds tractive effort. 4-8-2. 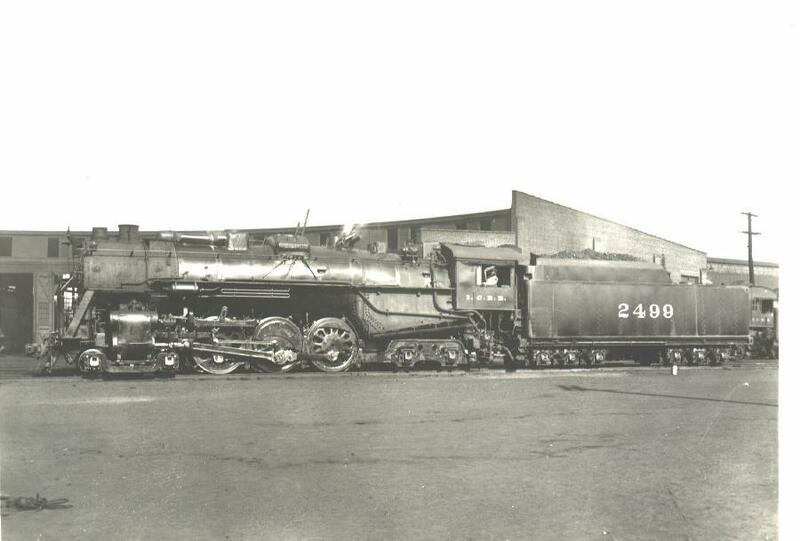 At Memphis, Tn., November 26, 1947. Mountain Type, 70" drivers, 73,303 pounds tractive effort. 4-8-2. 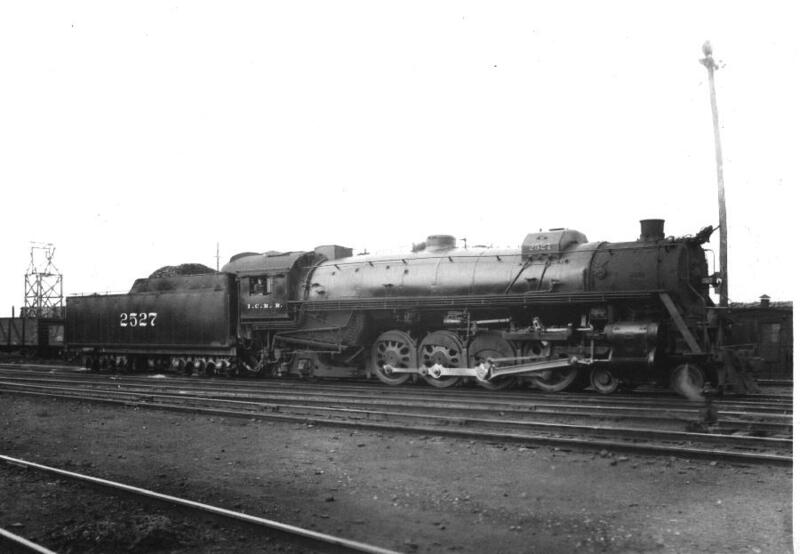 At 27th Street, Chicago, ll.,February 28, 1942. Mountain Type, 73.5" drivers, 58,389 pounds tractive effort. 4-8-2. 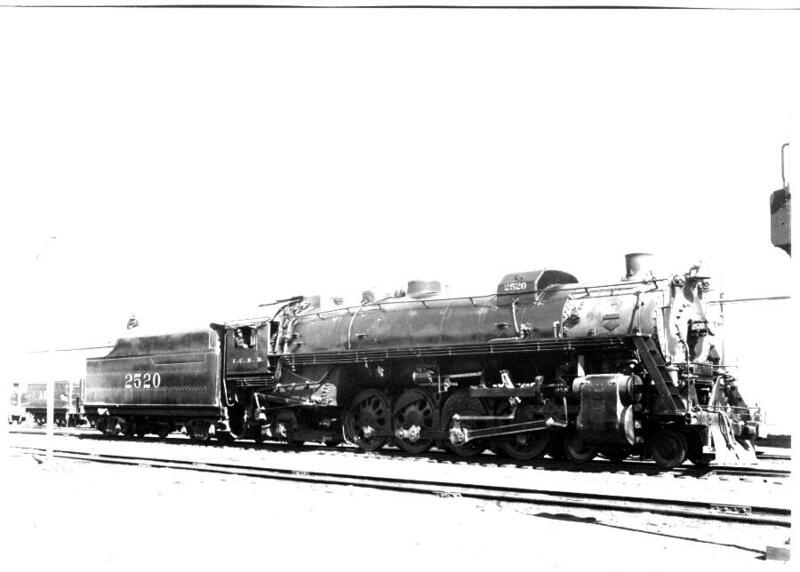 At Paducah, Ky., 1944. Mountain Type. 73.5" drivers 58,389 pounds tractive effort. 4-8-2. At 27th Street, Chicago, Ill., July 1945. Mountain Type, 73.5" drivers, 58,389 pounds tractive effort. 4-8-2. 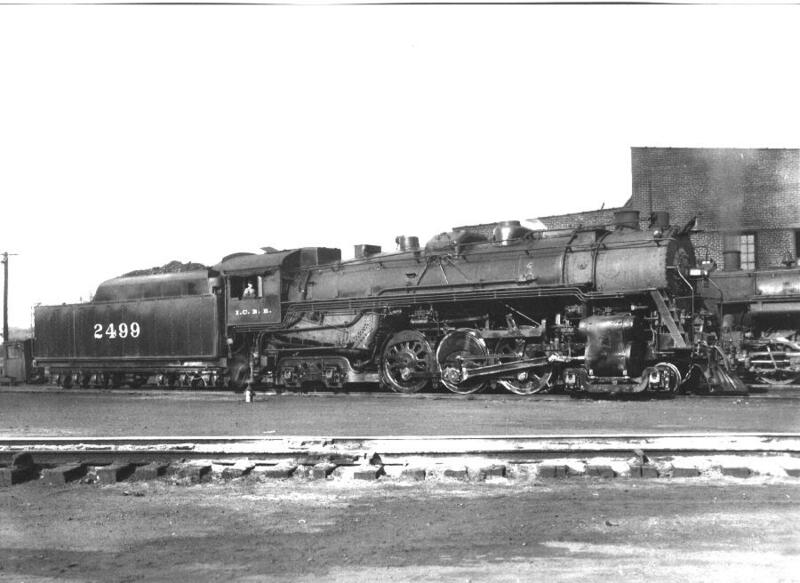 At Markham Yard, Ill., October 8,1941. 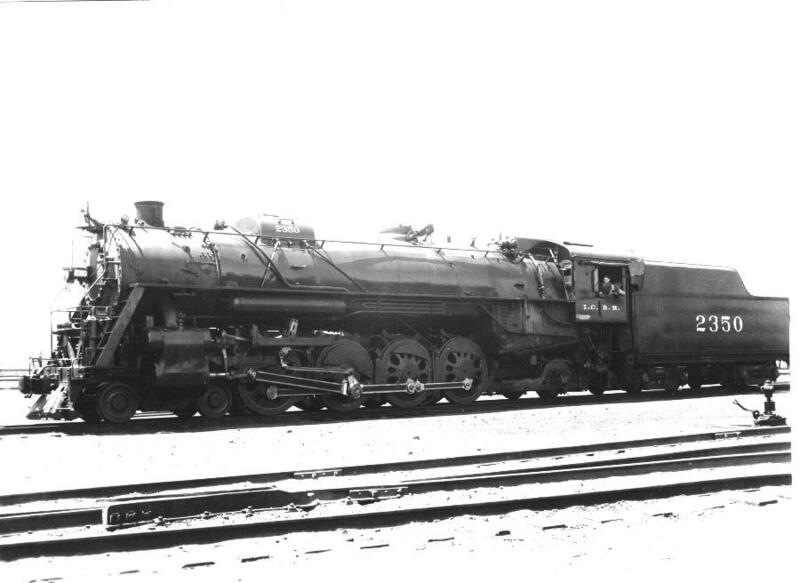 Mountain Type, 70" drivers, 73,768 pounds tractive effort, rebuilt 2-10-2 with new cast frame. 4-8-2. 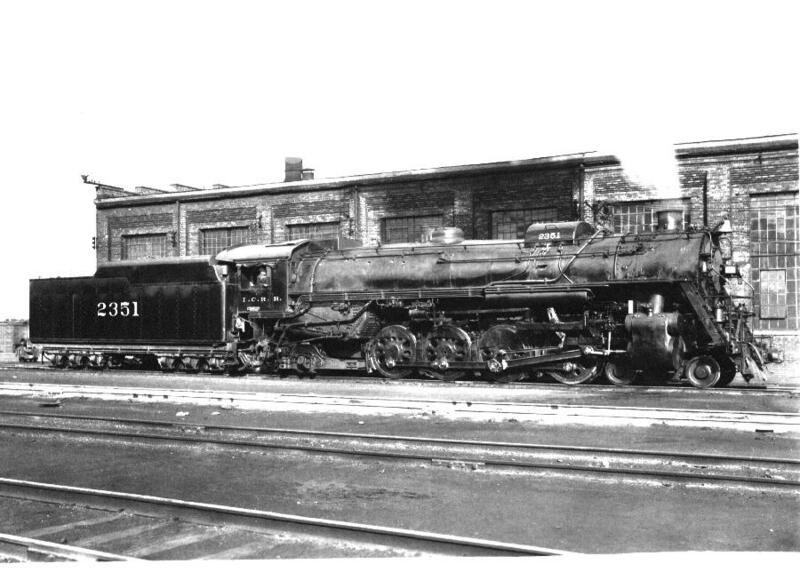 At Chicago, Ill.(27th St) October 30,1939. Mountain Type, 70" drivers, 73,768 pounds tractive effort. 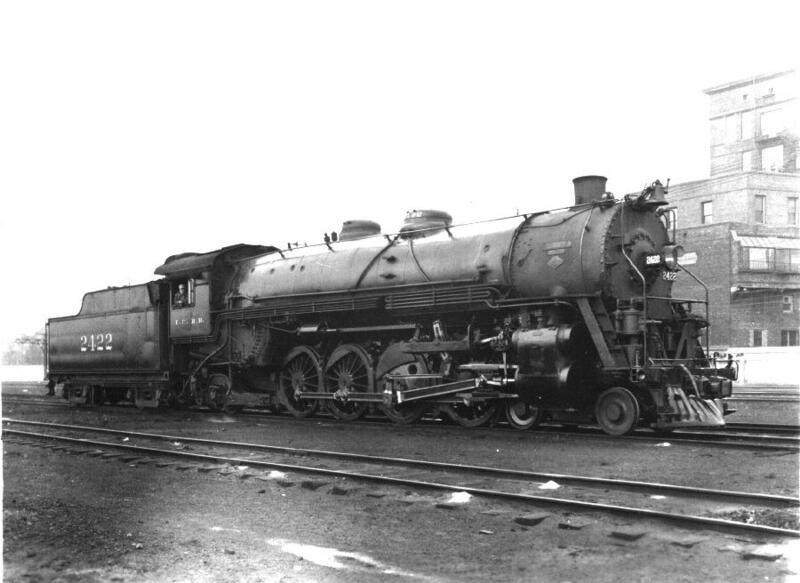 Rebuilt 2-10-2 with new cast frame. 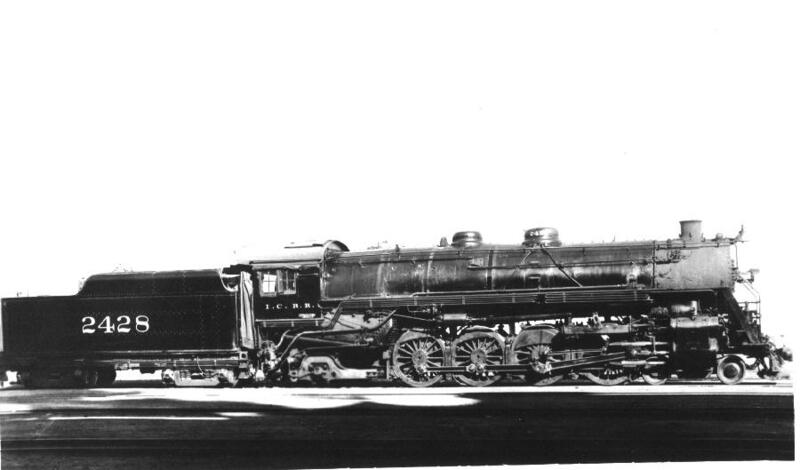 4-8-2(Mountain Type). At Central Station, Chicago, Ill., November 27, 1942. 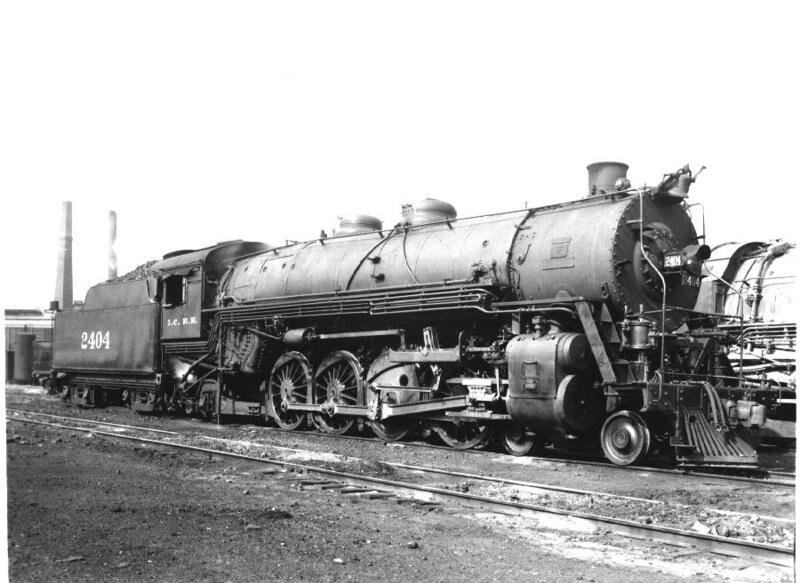 The 2600's were built at Paducah, Ky. in 1942-43.They were the heaviest Mountain Types ever built, had 70" drivers and produced 83,000 pounds of tractive effort.